So here we are; The day Paragon Sales Solutions truly begins! This has been a long time coming. We have been setting up for the past two months, working behind the scenes making sure everything ticks a long nicely. But here we are. 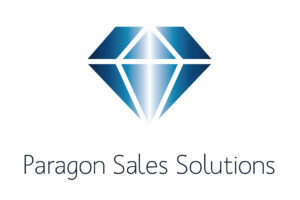 “Paragon Sales Solutions has been a little idea sat at the back of my mind for some time now. After my book, Relationship Selling was published I had an overwhelming response from business owners, entrepreneurs and inventors all of whom were looking for a freelance sales professional to work on their behalf and to offer ethical and honest sales training. It is thanks to the belief from these business owners which has led me to form Paragon Sales Solutions. 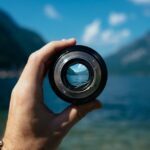 My goal, or my mission I should say, is to help businesses succeed and to achieve their business vision. There are so many people out there with a great idea, or a great product and yet just do not know how to sell it. This is where the team at Paragon come in. We really are the sales professionals. We will work closely with you. We will research your company, your product, your service and your target market and we will work on your behalf. What’s even better, is that we are very cost effective. You no longer have to recruit a sales person which in itself can be a massive investment and at times a gamble and you can be safe in the knowledge that when you hire Paragon Sales Solutions to sell on your behalf, you are in safe hands. Based in the East Midlands our team are positioned perfectly to the major cities in the UK including Leicester, Nottingham, Birmingham, London and wherever your business needs us. If you are a business owner, manager, entrepreneur and need some sales support be sure to get in touch! We would love to work alongside of you.